Good afternoon everyone! I hope you are all having a lovely day! I am back today with another Two for Tuesday pairing. 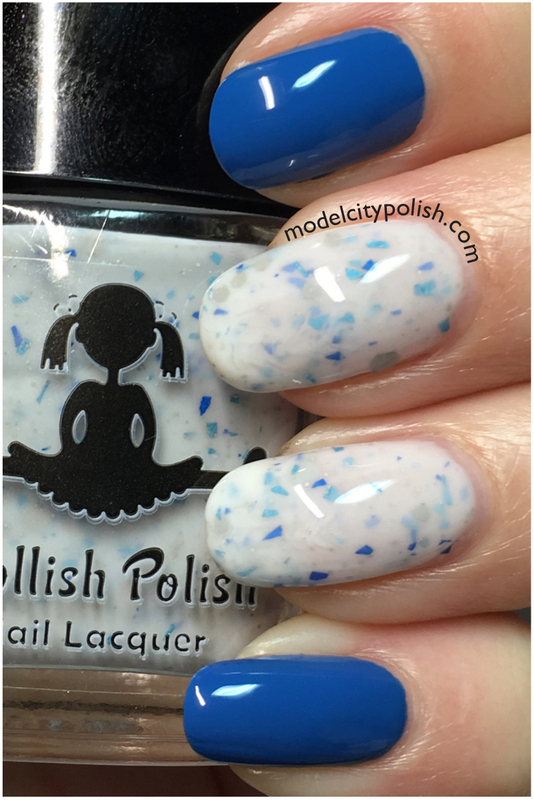 I had a gorgeous crelly from Dollish Polish sitting in my untried pile and thought this would be a great opportunity to break the seal on this beauty. Ahoy Matey! 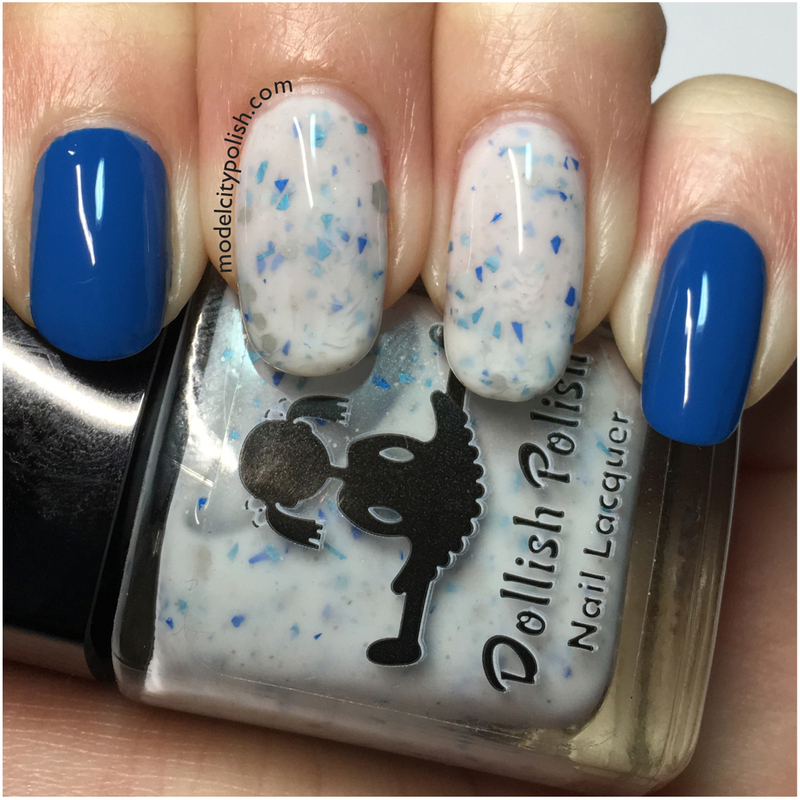 from Dollish Polish is a creamy white crelly filled with gray hexes and blue shards. Application and formula are both perfect. I paired Ahoy Matey! 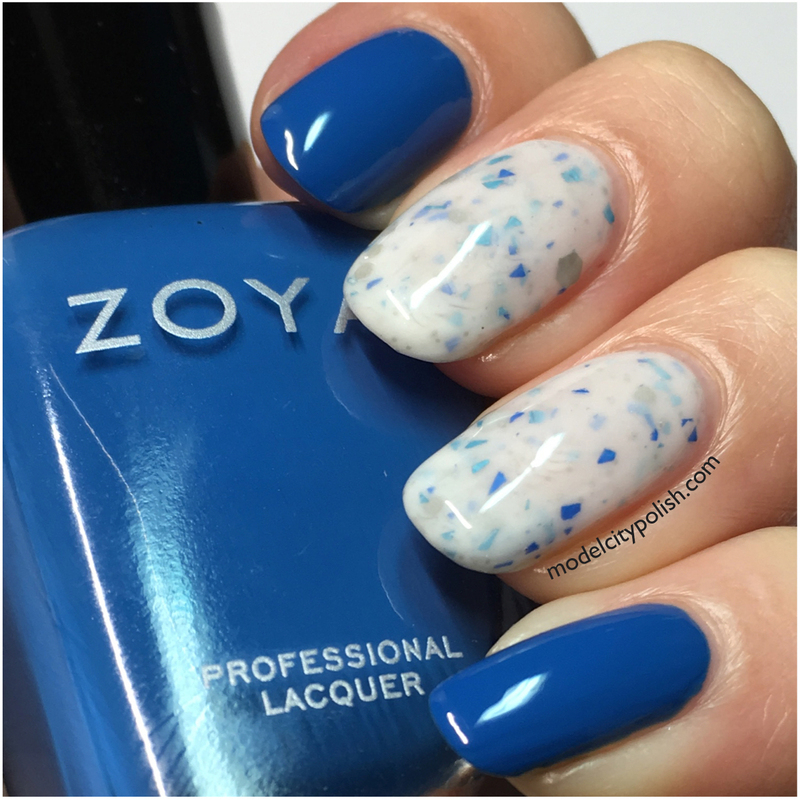 with Zoya Ling, the perfect blue to go with those blue shards. I needed just two coats of Ling for a solid finish. Everything is sealed with a coat of SuperChic Lacquer Liquid Macro Top Coat. So what do you guys think of today’s pairing? I love it!!!! 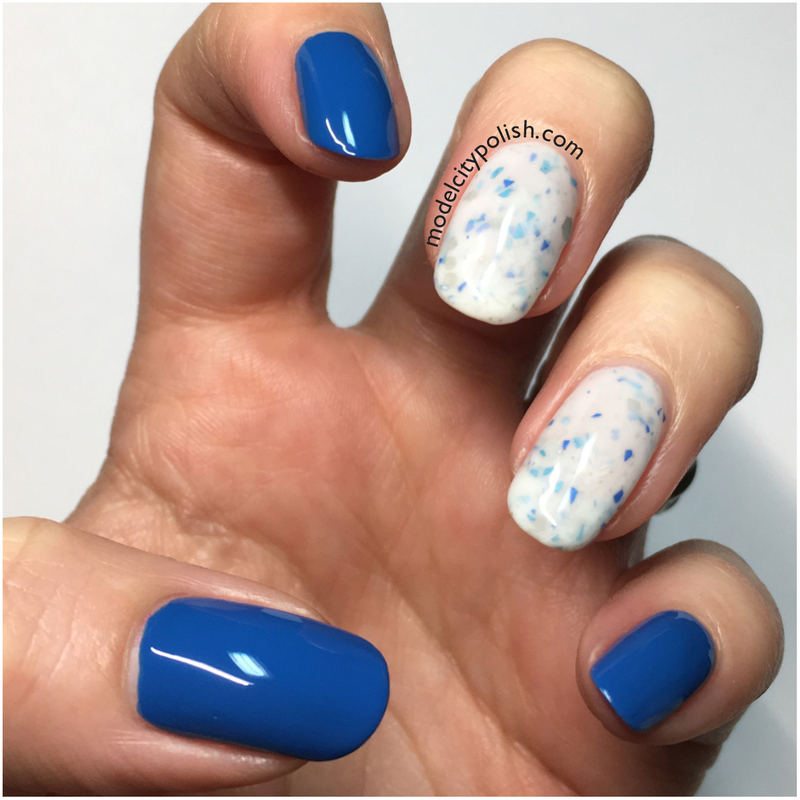 So glad I finally used that Dollish Polish crelly! Thank you so much for stopping by today and I will see you all again soon. Perfect pairing. 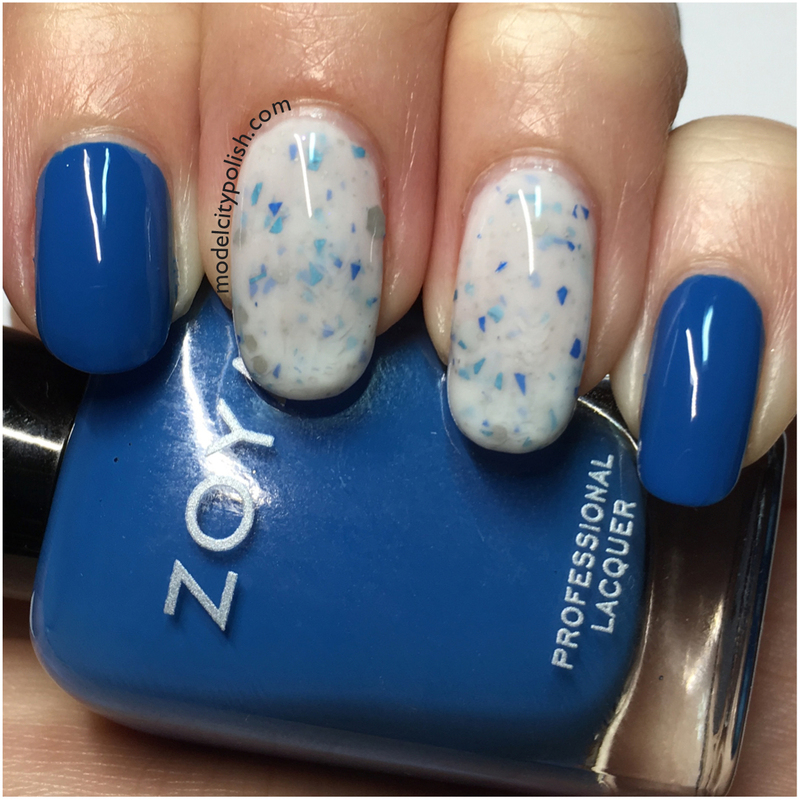 I love blue polishes like the Zoya and it fits so well with the shards in the Dollish Polish. I totally agree!!!! Subtle but adds a unique twist. This is indeed a perfect match! 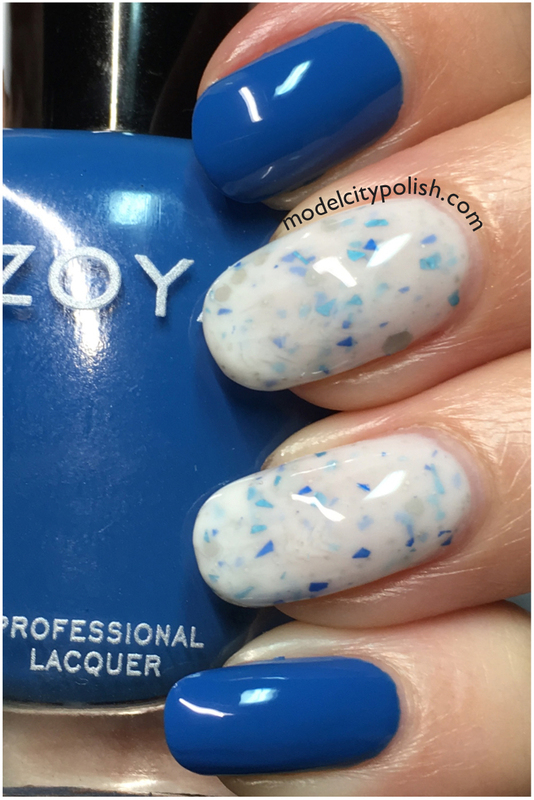 And I really love this Dollish Polish, despite not being a glitter fan; its final look is definitely intriguing! Perfect combo!!! They look great together.